Maximum number of players is 16, which I might increase if there is a need and the server can take it. Sweden, on a 100Mbs line. 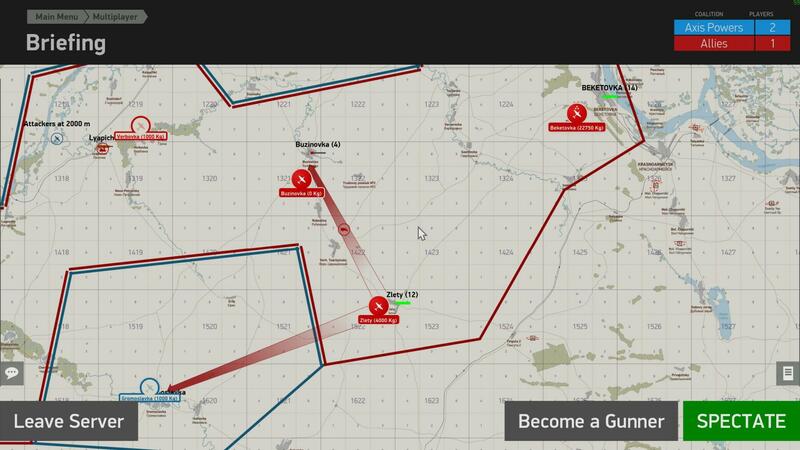 Each server runs a dynamic campaign where the actions in one mission affect the next mission. 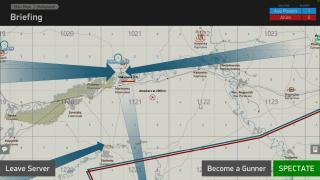 The server keeps track of ground forces, ammunition supplies, plane availability at each airfield. The map is divided in regions, and the goal is to conquer all regions that contain factories. These regions are labelled in UPPER CASE on the map. Conquering a region is done by ground troops, which are controlled by an AI. As a player, you cannot steer ground troops directly, but you can protect them and destroy the enemy's defending forces. At first you may wonder what to do after joining the server. Some advice to get you started follows. 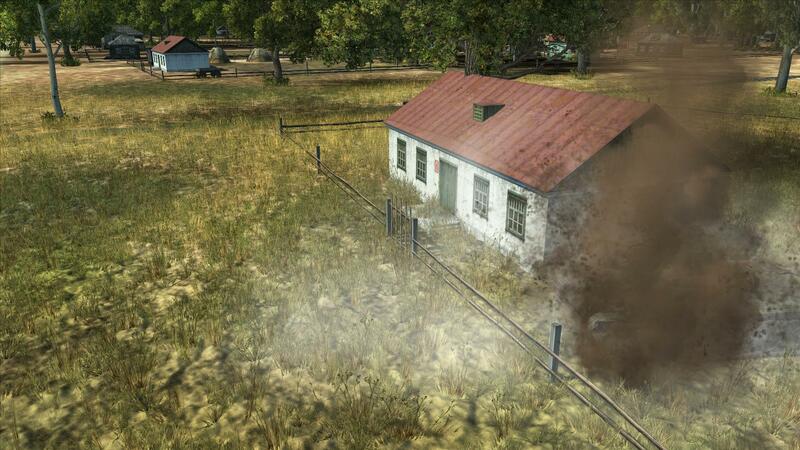 Take bombs, fly to the nearest enemy region, look for groups of dugouts near cities, drop your bomb(s) on the dugouts or barracks nearby (long grey houses). You may be intercepted by patrolling AIs. If so, you may jettison your bombs and engage them. Destroying them will keep them out of play for one hour. Alternatively, you can look for convoys and trains and strafe them. 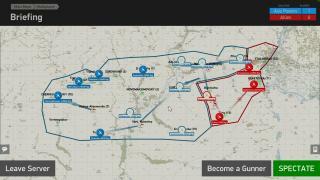 Arrows on the map show all convoys planned for the mission. Arrows with a truck, tank or train icon are currently active. The arrows do not show the exact path, they only show the start and destination of the convoy. 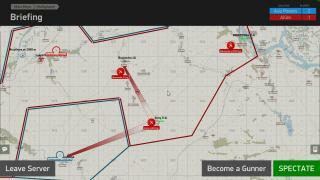 Follow roads/rails nearby and you should find a convoy. Trucks and trains are easy to attack. Tank convoys contain heavy tanks, medium tanks and armored cars. You probably can't do much about the tanks, but the armored cars can typically be destroyed with canon rounds. 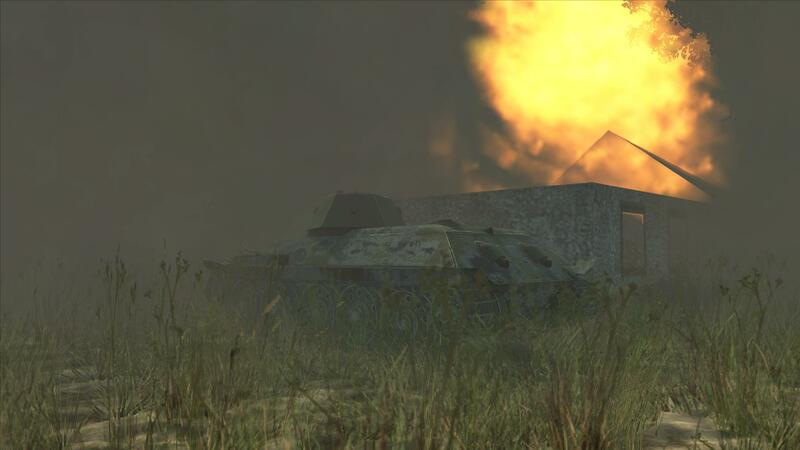 Attacking dugouts depletes ammo storage for a region, thus disabling part of its anti-air defenses. Destroying trucks and trains slows down repairs to said dugouts and replenishment of ammos. 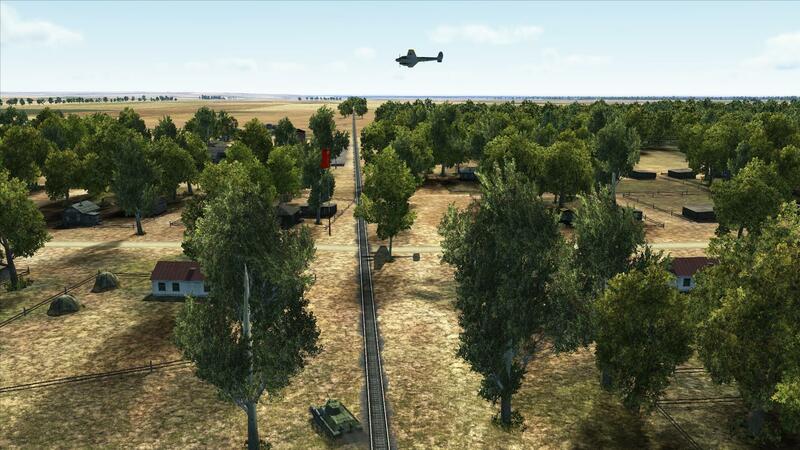 An undefended airfield with planes is a valuable target. Go strafe parked planes. Damaged planes are removed from the following missions, restricting the enemy's options. Same as above for the ground targets, but you can do more damage. You can also attack tanks, depending on your loadout. You can also drop bombs on hangars and fuel tanks on undefended airfields. Hangars contain bombs, and destroying them prevents the enemy from using bombers from these airfields. Parked tanks can be easy targets, as they aren't moving. Some regions on the map have numbers between parentheses beside their names. These numbers denote the number of tanks in these regions. If no column is planned to move from a region, the tanks in that region are parked somewhere. Each park is enclosed by watch towers and have fuel tanks nearby, Find them and bomb the tanks. 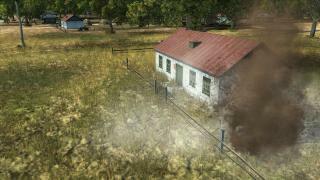 Destroy tanks and trucks in a ground battle and you will weaken the enemy's forces (up to 50% damage). Same as above for ground targets. You can also do level bombing runs on defended targets, such as airfields and factories. Destroying factories slows down production of ammo, repairs and tanks. 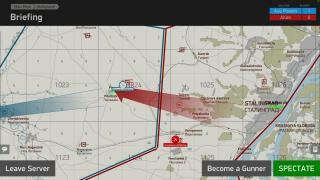 Select an airfield with its bomb stocks full (the amount of bombs at an airfield is indicated beside the airfield's name). 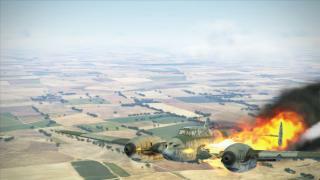 Pick a Ju52 with the Cargo load out, take off and fly to an airfield with few bombs. Land there, bring the plane to a stop. Unload your cargo. Take off again and bring back the plane to where you started. That last point is optional, but not doing so will typically result in transferring the plane to a forward airfield, where it will be useless and exposed to enemy strafing attacks. 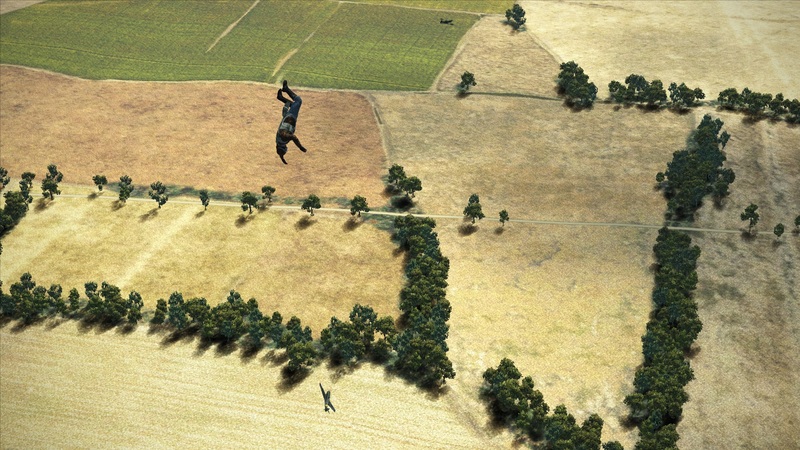 You can also pick paratroopers and drop them behind your troops on battlefield. This will provide a bonus to the attacking force (up to 50%). 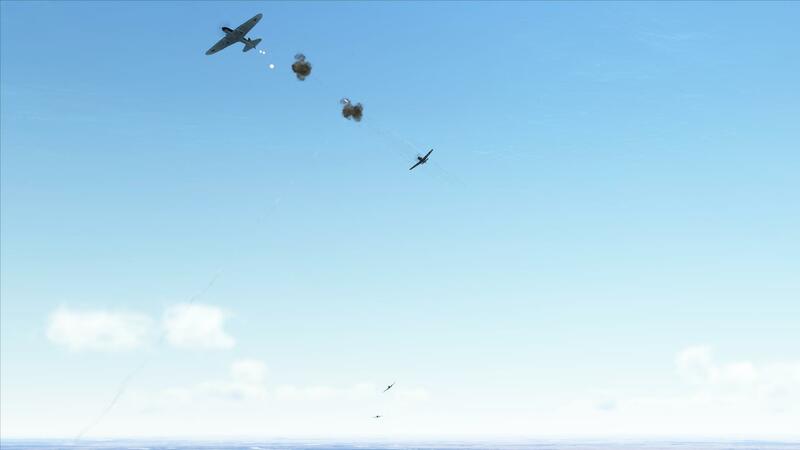 You need to drop the paratroopers within 2.5 km of the rear of the battlefield, on your side. 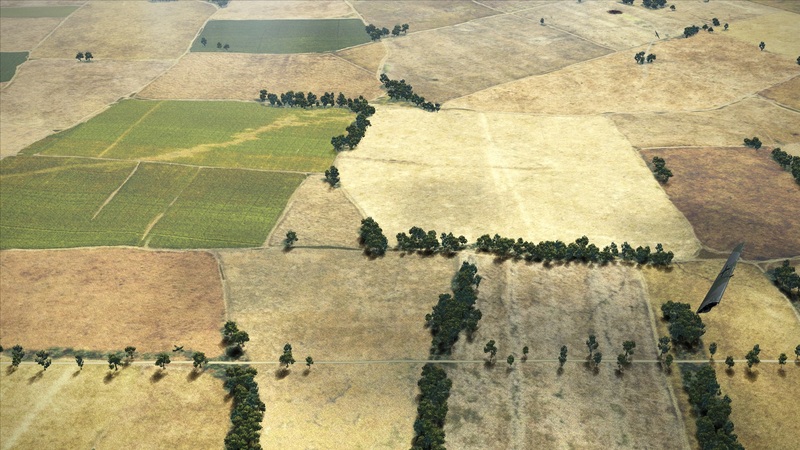 The exact position is not marked on the map, it's typically 1.5 to 2.5 km behind the ground battle symbol on the map. Look for your artillery trucks, they are also located on the rear of your side, where you should drop your troops. Normally, rear airfields tend to be well provided with all types of planes, whereas forward airfields are sparsely equipped. It is not uncommon that a front airfield is empty. It is therefore advisable to take off from a rear airfield, and after running your mission, land at a forward airfield. In the next mission, that plane will be available at that airfield. It is considered bad manners to repeatedly take off from front airfields and lose your plane. On the subject of losing planes: Don't be over-ambitious in your sorties. Crashing your plane on a truck or a anti-air canon is not going to impress the brass. This is a costly exchange that serves the interest of the enemy. 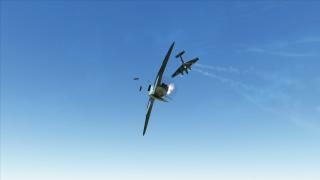 A mission when you bring back your plane whole without firing a round can be useful to your team. Indeed, flying over enemy territory will reveal positions of ammo caches and air patrols. You can also ferry planes from rear bases to forward bases, or on the contrary evacuate airfields that are about to be conquered. Not all planes are equally capable and valuable. Consider using a less popular p40 or a bf109e7 for a risky ground attack mission, and leave that shiny new yak or bf109f4 to the aces who can clean up the skies. AIs are used for fighter patrols and ground attacks. 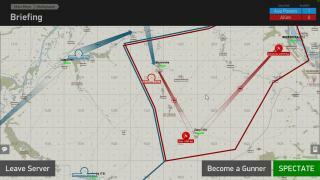 Each airfield can be home to one patrol, and to a number of attacks towards a target. For these AIs flights to take place, the airfield must have enough planes of the same model. At least 2 fighters for a patrol, at least 2 attackers for a ground attack, at least 3 attackers or bombers for an airfield attack. AIs that are killed are not counted in plane losses. AIs are also used for ferrying planes from airfields with lots of planes to airfields with few planes. Better stay out of their way, especially during taxiing. You may also run into them when flying into enemy territory. They fly alone, unescorted and should therefore be easy targets. Weather is variable. This includes overcast with rain or snow. No AIs fly in these conditions. The campaign is real time, but skips night time. You may still encounter night time in the first and last missions of the day, especially during winter time. A night time mission with bad weather will test your navigation skills on the expert servers. 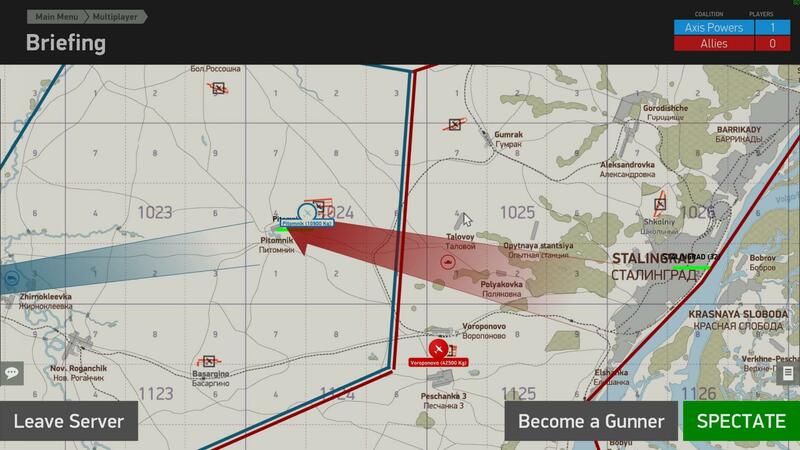 Beacons are enabled on the rear airfields, they can be of great help in these conditions. The storage capacity of a region depends on the number of undamaged dugouts. Storage level depends on arrival of train/truck convoys. Each region uses ammo for its defensive needs, and also stores ammo to be sent forward to other regions via convoys. For this reason, storage capacity is typically exceeds what is needed to defend the region. There are colored bars on the map indicating the ammo status of each region. The length of the bar shows the storage capacity in relative terms (i.e. how much of the original capacity is still undamaged). The color of the bar shows whether the region's defenses are fully supported or not. Green means full defense, red means undefended. On the screenshot above, you can see that Zlety is undamaged and fully defended. Buzinovka is heavily damaged and poorly defended. Yep, it's always a fun ride to see what coconut has cooked up with his latest mission. On the most recent mission (Novomaxsimovsky) I was reviewing a track and it looks like the few flak guns at Kalach were not firing at me, I guess I didn't trigger them. 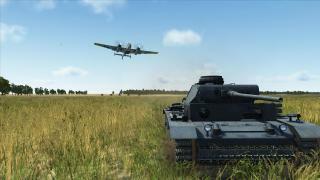 Now running a new mission, see http://forum.il2sturmovik.com/topic/16457-coconuts-missions/?p=314543for a description. Basically Tanks + Planes on a large area on the Stalingrad summer map. The main objective is a ground battle. 5 tank spawns in a line separated by 2-3 km. The Russians start with 2, the Germans with 3. AI tanks capture the middle base by themselves, but get wiped out by AT canons and AI Stukas. It's up to players to do the rest. I'm counting on the T34's superiority to win that battle, but the German defenses are tough (lots of Stugs, Stukas and pak40s), and you've only got 3 hours to win. Winning will require air supremacy for the Russians. I have developed a system to purge AIs when the server reaches full utilization. I'm aiming for keeping the CPU close to full utilization. Lots of AIs when the server is sparsely populated, but they leave the room to human players when they arrive. I'll write more about that technique in the mission editor subforum later, for those who are interested. The server runs with expert settings, no GPS, no kill notifications. Getting back to your base can be a challenge, once the night settles. There are NDBs at each airfield, so that can help, if you have the instruments. Careful if you stray deep into enemy territory. Horrible things are waiting for you in the dark, there. Namely: AI fighter patrols (which are pretty harmless once it's dark), spotlights and flak. Sniper AA on objectives (storage areas, bridges). There are secondary objectives in the form of trains and few other targets of opportunity (not telling too much). Lots of AI action at the start, and then it gets a bit quiet, I'll need to work on that. Landing lights only work on take-off, not landing. For the time being I'll call that a feature, but obviously not ideal. They are take-off lights, you see. Russian defenses at the ground battle are non-existent at the moment (but secondary objectives such as bridges are defended). Will add some in the form of AT guns, and maybe IL2-s circling over the last Russian tank spawn. Tried to join earlier today but could not make it. It just threw me out. How rude of it! Can you tell me around what time you tried? I'll check the logs. I had a similar problem when I had an excessive number of ground troops active at the same time, but I thought I had solved that. Edit: I stopped the server while I was uploading a video to youtube around 19.00 but DServer.exe kept hanging around. It's possible the server was still visible in the list, despite having been (partially) shut down. It's up again now, you can try if you like. I`d say few of hours ago. Sorry, did not take notice of exact time. Yes, that was it. I tried it again and it works Good stuff coconut! 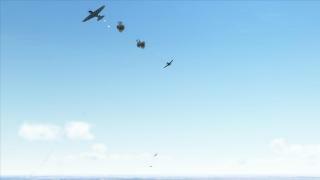 New mission "Early Invasion", featuring only BOM planes (with the exception of the Ju87 from BOS, which is also there). Look for "Coconuts (something something) EXPERT" in the server list. 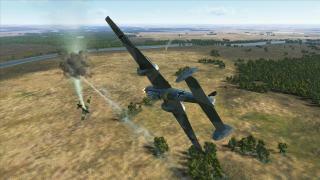 There's a couple air spawns with fighters to maximise dog-fighting time for those who are looking for that. 3 pairs of fighters (bf109 e7, lagg3) that are patrolling over their respective airspace. These AIs are removed if the server gets overloaded. Decorative AA near cities (flak37, 52k) to help spot intruders. Server is running with "expert light" settings (CEM, no icons, GPS on). Note that AIs are being cowards at the moment. They fly away rather than fight. I'll try to fix that right away. 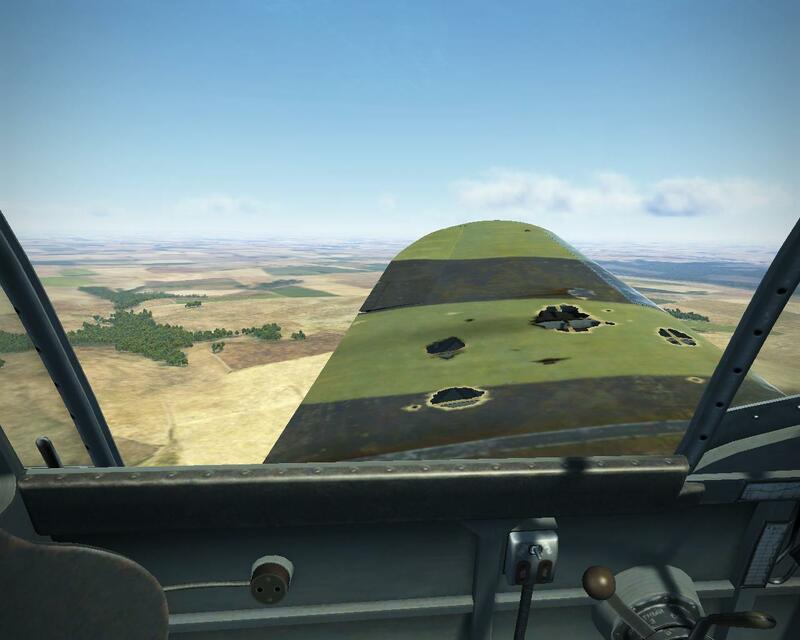 Not the IL2s, those do what they are supposed to. The plane's reputation of reliability extends to the AIs, it seems. Edit: Now the AI is fighting again. Yeepee! Thanks for the mission. 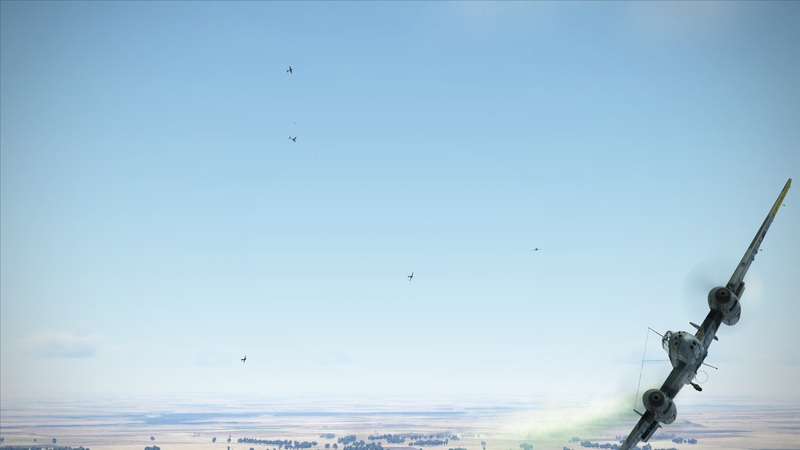 Joined the server for a bit today came across some big flights of ai Laggs around the front city that put up no fight at all, just kept flying in formation while getting shot up. Thanks for the info @@=LD=Penshoon! I've now changed their commands a bit. Sadly, it seems they still refuse to start a fight with a player, but they'll defend themselves more actively, now. Bumping the thread again, great server with BOM planeset, ai flights and nice ground action. Here is a clip from some ground attack I did today (where the meaning of "ground attack" is left open to interpretation). Wow, very cool! Great Work! Thank you for the helping hand with your missions for the squad. We appreciated your missions and looking to make training again ! Was very fun, Lucas was making a fighter CAP near Malinovka-Kalach he intercept us after our bombing on the bridges by our 109. He was able to sneak behind our formation and get one of us ! The mission makes heavy use of ground units. Did you encounter any problem? Me and a mate discovered your server just yesterday and we had an excellent time. That's exactly the kind of multiplayer action I prefer. I'm sure I will hop in more often. Thanks for making this possible! I'm all for it, already running one in French on Mondays. I could set another one up some other evening. What about Tuesdays? In the mean time, I have only one person signed up for tomorrow, probably due to holidays. There might be more who come unannounced, but we could definitely let in more. I'll let the server open, feel free to join. From 1 to 12 people, this was fun. One of the IRRE Fw-190s (partially my fault for diving on 4 of them with no thought or consequence) rattled me nicely, I could barely pull out of a 1000m dive and make my way to the advanced airfield for a crash landing. Non-stop air and ground action! Coconut Tuesdays sound like an idea, it could warrant a post in the eSports section for some server advertising. Yes, that was a lot of fun. I was so sweaty at the end. It took a while to find sleep that night because of all the excitement. There was an additional group of unregistered people initially, but they left. I'm not sure why. We could have been close to 20 or so. I hope it wasn't some disconnection issue. Anyway, I'm very pleased with the way this mission turned out, good tank fun at the end too. As a mission designer you never know if your ideas will work or not, but in this case it went beyond expectations. This mission plays rather well with as few as 10 people, and I'd love to see how it scales. Just tried it today and I had to comment on the nice mission and smooth gameplay. likely because of ping.I am in Canada. I am wondering if there is your airplane's position on the map when you press O when you are flying or is it removed? the setupping you have to do with a HE-111 and fighter look out duty. This server will now reset the map rotation every day at 18.00 GMT. Mission duration is 2h10min unless the primary objective is achieved before that. Followed a 1.Zug of 5 tanks with the 16th Panzer Division insignia on the back. Followed them around looking for enemy tanks and guns with no luck.  EDIT: new, nicer domain in the URL. I really like Your Server and the Missions You´re running. I always hop in once for a while since two weeks. But I noticed that since many days there isn´t a map rotation anymore. 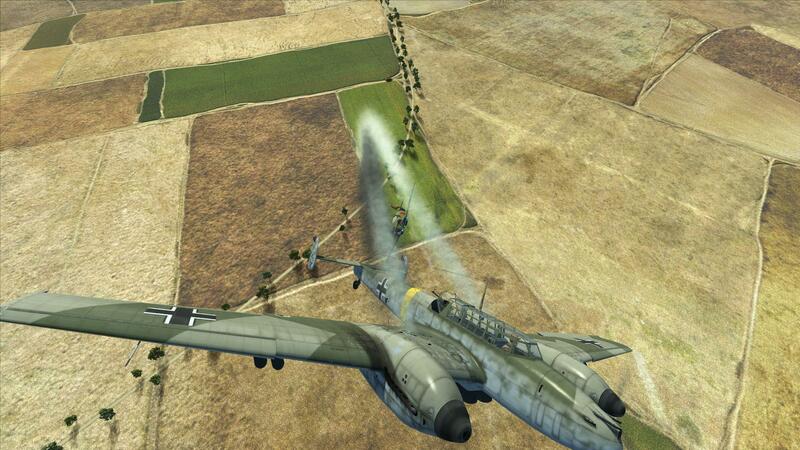 Its always the same mission with one Bf 109 E7 AI and a Ju 87 AI and no russian AI. 2 weeks ago I was with a mate on a saturday evening on Your server, and there were always different missions. And dare I to suggest or sinecerly ask if it could be possibe to add slightly more AI planes? That would make the whole thing way more entertaining, what do You think? Rotation between multiple missions is back. Regarding more flying AIs, I'll add a few more in the next mission. "Early invasion", a BOM dogfight mission (it has a few BOS planes so as not to exclude anyone). Lots of AIs in the air. 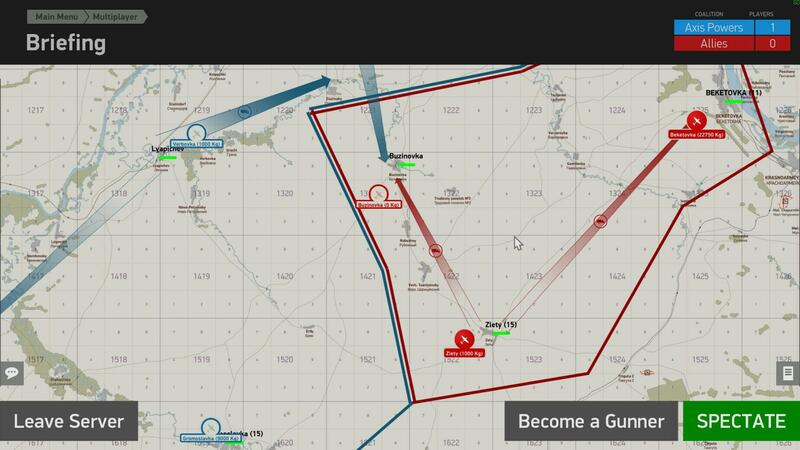 No specific objective, it's really meant as a dogfight mission, with some AI activity for the background. Has lots of Bf110 AIs, and 9 AI tanks (all Germans). "Novomax". Objective-based, fight around Novomaksimovsky. Has player and AI tanks, not many AIs. "Night attack on Kalach". Objective-based, fight near Kalach. Has player and AI tanks, lots of Stukas in the air. Hopped on the server for the first time today, runs very good and the mission looked interesting. Thanks, I'll come again for sure!